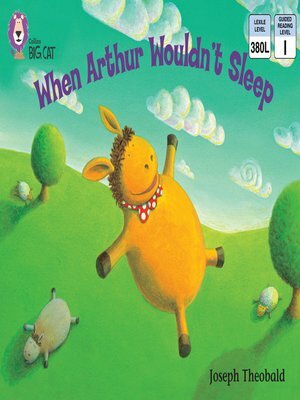 'It was bedtime and Arthur was still awake. "I don't want to go to sleep," he said. Where could he go to find a place where NO ONE went to sleep?' Arthur returns in another stunning title, written and illustrated by Joseph Theobald. o Orange/ Band 6 books offer varied text and characters, with action sustained over several pages. o Text type - A humorous story. o Ideas for Guided Reading in the back of the book provide practical support and stimulating activities. Joseph Theobold found great success with his first picture book Marvin Wanted More. Joseph has two books published in the Collins Big Cat series.